Romance and suspense! Katy Newton Naas, the author of the new The Visitors, is stopping by today to talk about her book and to offer readers a chance to win a free eBook copy of the novel! Until very recently, I have been working diligently on two writing projects! I just finished a novel titled Healing Rain, and I am also in the middle of the sequel to my debut novel, The Visitors. Though they are both young adult fiction novels, they are very different. Healing Rain is a realistic contemporary piece about a teen girl starting over in a new town after a devastating event changed her family and shook her Christian faith. She is trying to keep her dark past a secret while juggling new friends (and enemies), new love interest(s), therapy, and fitting in at her new high school. I actually just received a contract on this story, which I am VERY excited about, so look for it in the near future! The sequel to the The Visitors (which debuted in September) is a science fiction piece with romance and action mixed in, but I can’t give too many details just yet – I wouldn’t want to spoil the end of The Visitors! I’m hoping to have it finished by the end of this month. Seventeen-year-old Noah awakes one day to find that dangerous, irrational, self-serving, and destructive visitors called “humans” are coming to visit his beautiful, perfect planet. All citizens are ordered to have limited contact and share little information with these visitors. Some of the concepts in the novel – teen romance, forbidden love, and futuristic space travel – are universal, which people can relate to. The storyline, however, has several unique features: I have created my own planet, with a dystopian society of people who look like humans but are very, very different in the way they think and live. My main characters, Noah and Jady, are young and get swept away in love, but they’re both incredibly intelligent, brave, and strong in their own ways. I hope that my readers will fall in love with them the way I have. I have been a writer my whole life. It’s a passion. These ideas enter my head – sometimes through dreams, sometimes in conversation with friends or at work when I’m teaching – and they just won’t leave me alone until I write and release them. Young adult literature is and has always been what I love. I think my love for working with young people compels me to write for them as well. I wouldn’t say I have one magical formula for writing a novel. Writing BC – Before Child – was much easier! I get an idea, and then create a rough outline for a story in my head. I develop my main characters, picturing them as I imagine what their personalities will become. Then, I just start writing. Some days I write more than others, but I would guess that I average about ten pages a day, on good days. Of course, with a full-time job and a family, there are many days that I don’t reach that goal! I have to do most of my writing when my little man is asleep. You will often find us in my recliner – him sprawled across my lap asleep, me leaning over him and typing away on my computer. Once I complete a novel, I usually step away from it for a few weeks. I then go back and read it again, editing for any mistakes and changing any scenes that feel weak. Sometimes this means cutting out entire chapters and rewriting them, so the editing process can take a few weeks as well. Katy Newton Naas wears many hats: wife; mother to her young son, Aven, and her four-legged sons, Shakespeare and Poe; teacher of middle school reading and high school English; children’s church teacher; and now – her lifelong dream realized – author. Her debut novel, THE VISITORS, was released September 16, 2014. She graduated from Southern Illinois University-Carbondale with a bachelor’s degree in English Education and a master’s degree in Reading and Language Studies. She resides and teaches in a small town in southern Illinois. From a young age, Katy was always an avid reader and writer with a big imagination. She spent much of her childhood searching for ghosts and UFOs to no avail – but she hasn’t given up her hunt just yet. 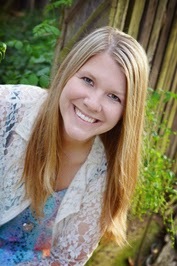 Though she continues to grow older, her true literature love is and has always been young adult fiction. She loves creating both futuristic and realistic stories about teenagers, and feels so fortunate to get to work with them every day as a teacher. 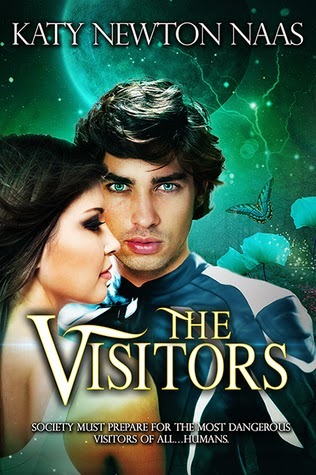 Enter for a chance to win an eCopy of The Visitors!